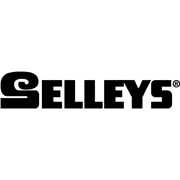 Selleys Silicone 401 RTV is a one part ready to use, acid cure, room temperature vulcanising (RTV), silicone adhesive sealant. It cures rapidly on exposure to atmospheric moisture to form a versatile, durable, resilient silicone rubber and is suitable for form-in-place gaskets and for adhesive, sealing and electrical insulating applications in manufacturing and plant maintenance. Wide temperature tolerance - up to 260C.